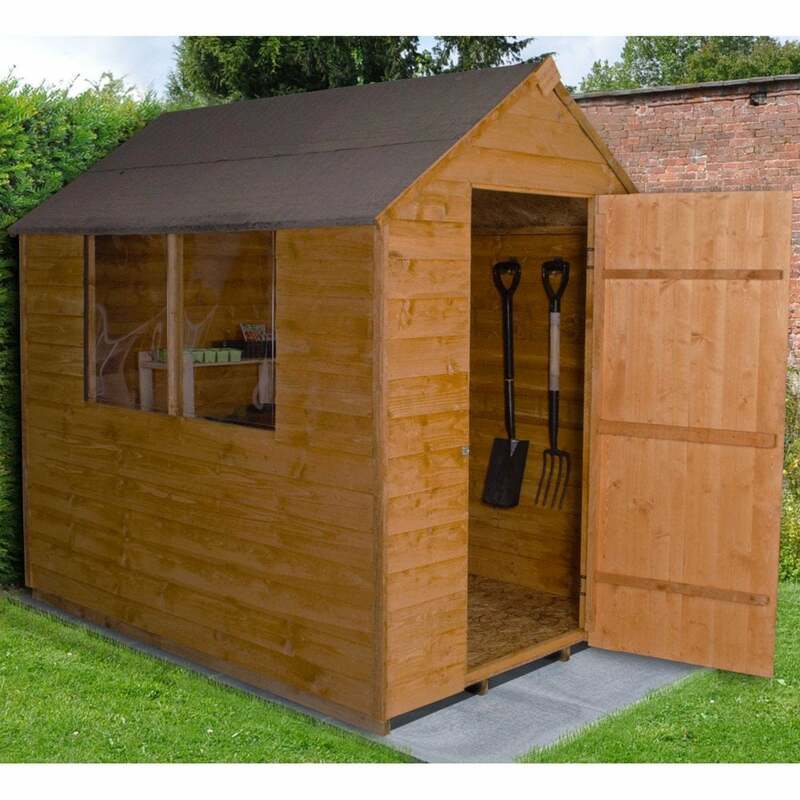 Forest Garden 5 x 7 Essential Overlap Dip Treated Shed: This Forest Garden Essential Overlap Shed is fantastic sized shed that is a suitable size for your garden and will the best storage place to house all your essential garden tools, accessories and garden furniture. This shed features a single door and two polycarbonate glazed windows that are unbreakable and have been fitted with security screws. These two windows will allow natural light to flow through and make the shed appear larger inside. The single door features hidden hinges, a hasp and staple lock and has been triple braced for added strength and security. This Forest Garden Essential Overlap Shed has been designed with 7mm square cut boards that overlap each other to allow for movement and rain will flow right off the building. This shed has been manufactured with FSC certified timber and has been given a factory applied treatment which offers a short term protection against rot. The Forest Garden Overlap Shed comes with shed felt material and both the floor and roof are Oriented Strand Boards.